We’re obsessed with sheet masks. There’s something addictive about layering on a chilly cotton (or coconut!) sheet soaked with food for the skin that we just can’t quit. It could be the results. Here are five sheet masks we love for their glow-inducing, calming or depuffing effects. Find one you love, store in the fridge and pull out on summer days when your skin needs a little extra support. 100% Pure Bright Eyes Mask | Make friends with gel eye masks! Keep them in the fridge, pop them out in the morning and wear them while you oil pull. Caffeine from matcha and yerba mate deflates puffiness, and a juicy aloe gel brings thirsty skin back to life while also calming. TCM Editor’s Pick! Florapy Sheet Mask – coconut based | We’re obsessed with these gentle, but effective masks from Florapy. The key is their coconut-based gel sheet – something we’ve never seen in the beauty world before! 15 minutes and one of their masks gets you instant hydration, repair and rejuvenation. 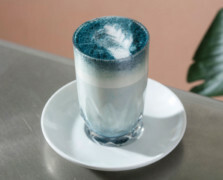 A must try. 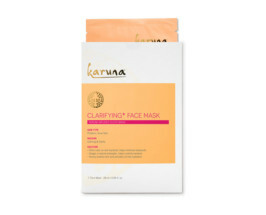 Karuna Clarifying+ Face Mask | Travel and sun can sometimes aggravate troubled or sensitive skin and cause breakouts and have us clinging to our concealer. These oil-free sheet masks are made from pore-friendly wood pulp that draws detoxifying natural ingredients straight into our skin. Ginger helps kill bacteria, chamomile reduces redness and honey helps keep things calm on our skin (and in our heads). 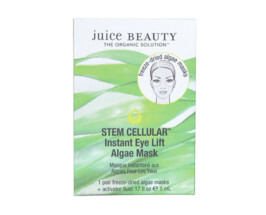 Juice Beauty STEM CELLULAR Instant Eye Lift Algae Mask | Sleepy, sinking eyes are a bad match with a sun dress. Juice Beauty’s 10 minute quick fix is extremely power-packed. Cotton patches and anti-oxidant ampules match up for a quick plump to fine lines, white tea and cucumber chills out unwanted puffiness, and chamomile softens skin… It’s basically a time machine in a tube. Did we mention it only takes 10 minutes? 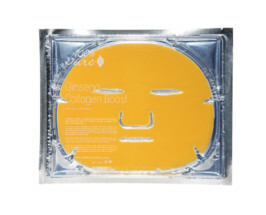 100% Pure Ginseng Collagen Boost Mask | This gel-like mask might scare your boyriend, but it’s worth it. Spending time in the sun dries out our skin and can mess with the tone and texture- but this mask bring it back to life with the power of ginseng. Used for centuries in traditional Eastern medicine, this super root is loaded with vitamins and minerals that balance tone and boosts natural collagen production for tighter, firmer skin. Aloe “hydrogel” infuses hydration for instant plumpness in less than 20 minutes. 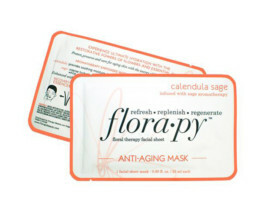 Share the post "5 Summer Sheet Masks To Recover From The Weekend"